The Mountain Lakes Nature Preserve is now a certified Monarch Waystation, sponsored by Monarch Watch. Monarch Watch is a non-profit organization started by the University of Kansas, Department of Entomology. On their website you can view a map of certified Monarch Waystations, report a tagged monarch butterfly, and read up on monarch conservation. These butterflies are endangered due to lack of habitat and pesticide usage. Monarchs only lay eggs on milkweed plants, as it is the only plants the caterpillars can eat. Tusculum Meadow and the J. Seward Johnson, Sr. 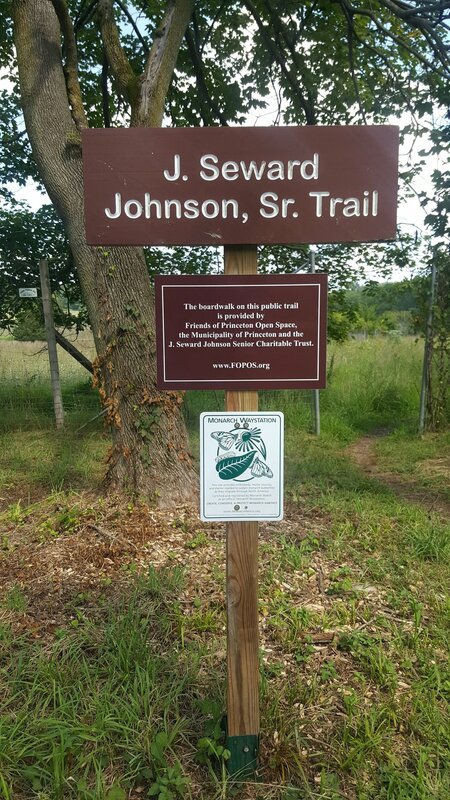 Trail, bordering Coventry Farm, starting on Great Road, are both fantastic monarch habitats and contain lots of milkweed and nectar providing plants. Mountain Lakes is proud to be a certified stop for monarchs on their incredible migration south to Mexico for the winter. For more information on monarch butteflies and how to help their conservation efforts, visit Monarch Watch and The Xerces Society.